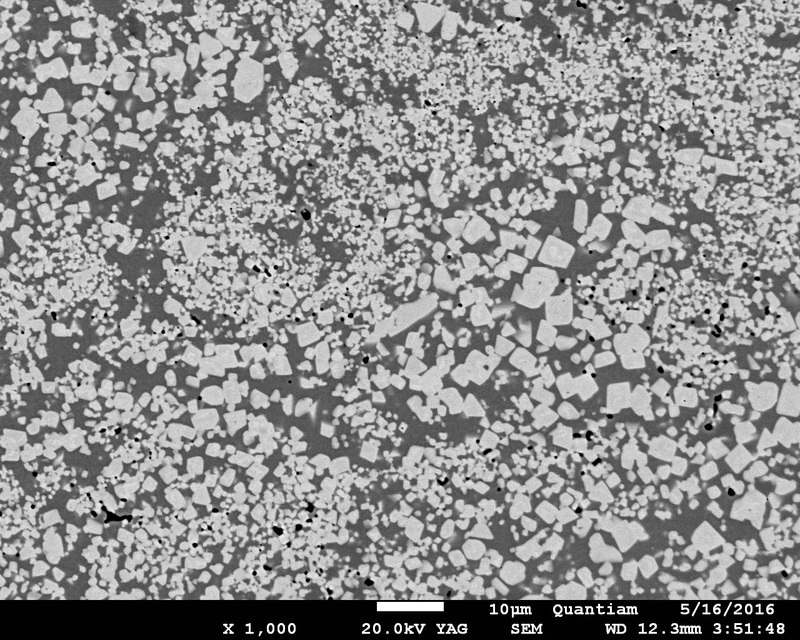 Oil & Gas | Quantiam Technologies Inc.
Quantiam has developed a portfolio of wear and corrosion resistant coatings for steel tubulars and other complex shapes, exploiting the behaviours of advanced materials at the nano-scale. 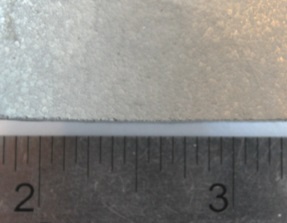 These coatings consist of nanostructured, hard, wear resistant particles in a ductile metallic matrix (Figures 1 and 2 below). 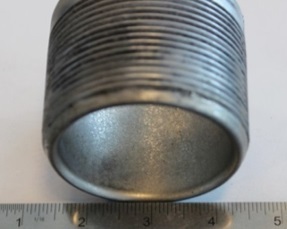 Coatings can be uniformly deposited and metallurgically bonded to the internal or external surfaces of tubulars or parts with complex geometries in thicknesses ranging from 50 to 1000µm (2 to 40 thou) using Quantiam’s low-cost proprietary coating application process. The coating is compatible with various substrates including carbon and alloy steel, stainless steel, and Ni-based alloys. 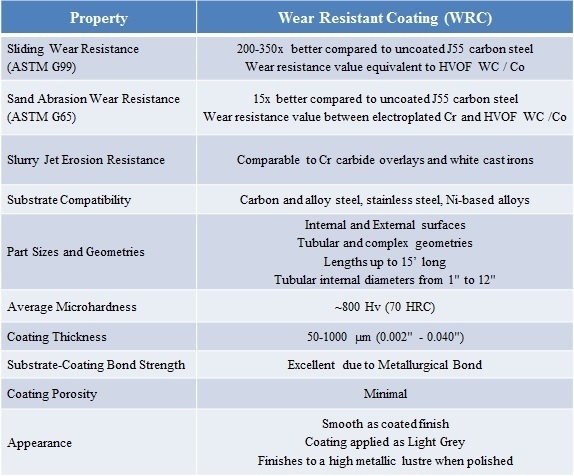 Wear resistant coating properties are summarized in Table 1 below. 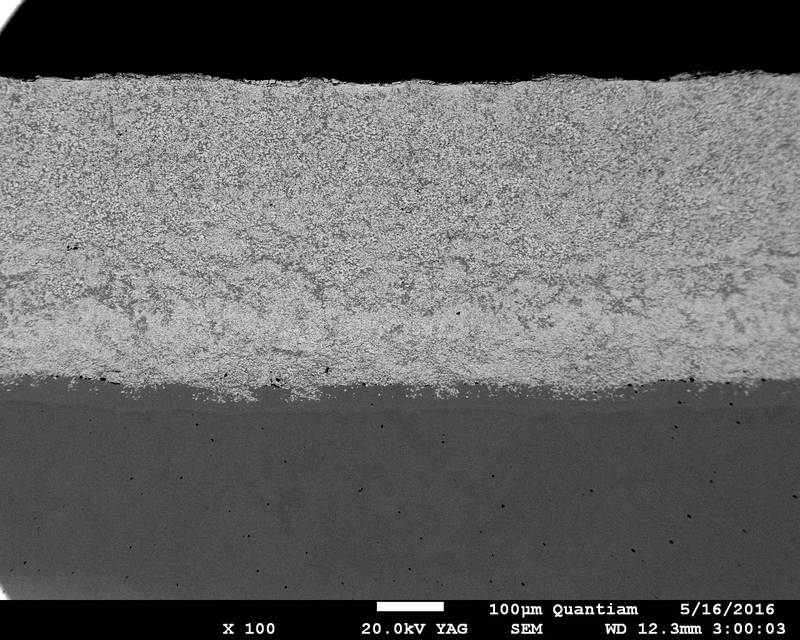 resistant coating cross section. the coating cross section. Quantiam has coated more than 8000 feet (>800,000 internal square inches) of oil and gas production tubing for research and development and field trial activities (Figures 3 and 4 below). Quantiam’s wear resistant coated products have been installed in 50 wells in the Bakken region of North Dakota with the earliest installations exceeding 3 years of operation downhole. Field trials wells have exceeded 3x typical runtimes compared to previous runs with uncoated tubing and no coating related failures have occurred. These field trial successes have resulted in over $100,000 US in savings per year per well for our client in avoided work-over costs, lost production time, and reduced bill of materials. pup joint. wear resistant coated pup joint. Quantiam is looking to expand our field trial customer base for our wear resistant coatings family. In addition to internal tubular surfaces, Quantiam is able to coat external part surfaces and parts with complex geometries. We are open to collaboration/partnership opportunities for coating customization for customer specific needs and applications.